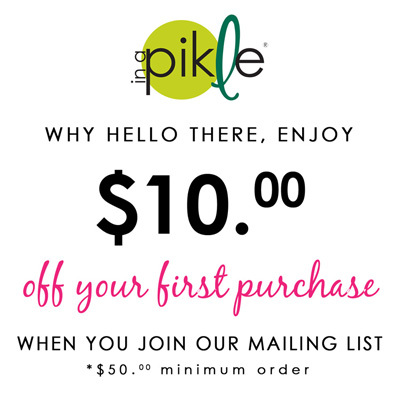 The “In A Pikle” scissors will help you snip your way right out of a Pikle Moment! They are compact and safe when the blades are stored out of sight. You have successfully subscribed! Use coupon code "SAVE10NOW" to save $10 on your purchase (of $50 or more) on your next order!